Imagine a holiday where you are surrounded by opulence, fine dining and incredible fun, all while at sea with an incredible view of the endless waters. That is the type of vacation you would have if you bought tickets to Dream Cruises’ luxury cruise — Genting Dream. The 18-deck cruise ship, which will be arriving in Singapore on Nov 16, is Asia’s first luxury cruise liner and is designed to feature the comfort of authentic Asian hospitality and some of the finest experiences from around the world. 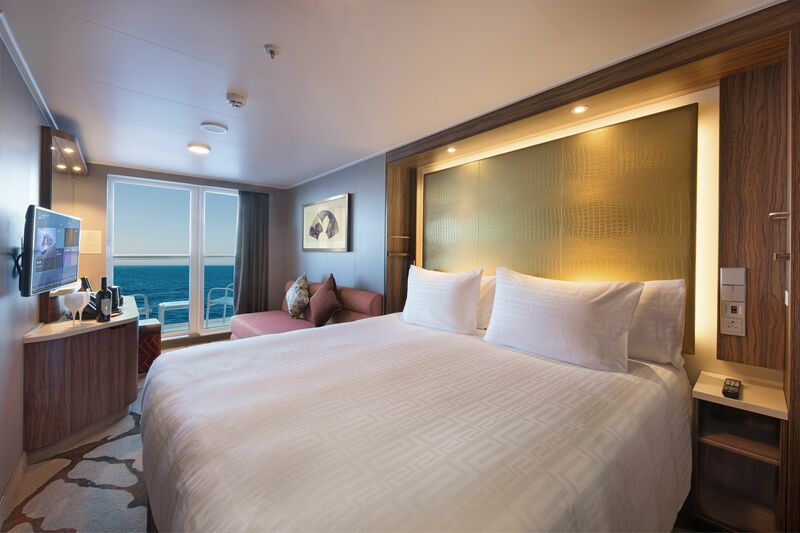 Unlike other cruises, the Genting Dream has almost 70 per cent of the rooms with balconies, giving you glorious views of the sea. While the rooms, beds and products are designed to relax you, you will hardly wish to stay in with the large variety of activities available. For endless fun, you can play mini-golf, belt out songs at the karaoke lounge, watch the spectacular Voyage Of A Lover’s Dream show, make a splash at the six-slide water park, challenge your friends in bowling or even be adventurous at the rock climbing wall and ropes course with a 35m zip line. And if all these activities work up an appetite, just head to one of the many food and beverage establishments to refuel — such as the main Dream Dining Room, Japanese Umi Uma, Hot Pot, the fancy Bistro by Mark Best, Crystal Life Cuisine and even a Breadbox bakery. What’s more, the ship also has an elegant art piece, which measures more than 335m in length, on both port and starboard sides. The art piece, titled “Voyage of a Lover’s Dream”, features the fantastical journey of love between a mermaid and an astronaut. The concept, created by Chinese pop-artist Jacky Tsai, combines the essence of Chinese culture and the popular elements of Western art in his unique hull art piece. To kick-start the excitement for the arrival of the luxury cruise, Dream Cruises organised a roadshow at Chevron House on Nov 2 and 3, and at Raffles City Level 1 Atrium on Nov 4 and 5. Those who checked out the booth were informed of a game where they had to help reunite the mermaid and astronaut featured on the ship for a chance to win prizes like cash vouchers, Zoukout tickets and merchandise. The big prize, which was given out to two people each day, was the 2D1N Genting Dream Balcony Cruise tickets for two worth $398. Ms Sally Tan, 58, a secretary who works around Chevron House, was walking around the area for lunch when she spotted the roadshow. She recalls: “I saw the big signs and the beautiful mermaid and decided to check out what was happening. I had previously seen advertisements on the new Genting Dream and told myself that I would probably try to book a trip next year. The last time Ms Tan went on a cruise was about four years ago. “I am looking forward to this. I will most likely bring my daughter. We are each other’s travel buddies and I would love to take on her such a luxurious-looking trip,” she says. Genting Dream will set sail from Singapore starting Nov 16. For more details, visit dreamcruiseline.com.